On Friday the 20th of July, Vikings Rugby hosted its Annual Sportsman’s Luncheon at Vikings Lanyon, for a little over 200 guests. Those who attended were treated to an excellent dining experience courtesy of the Red Rock Bistro and enjoyed some great entertainment – Mike Whitney, former Australian Cricketer and now TV personality, was the MC of the event. He was joined by another former Australian Cricketer, Damien Fleming and former Wallabies player Huia Edmonds. Both speakers and Mike Whitney shared some interesting stories about their journey through their respective sports and had the whole room in stitches with their quick wit and humor. The Luncheon concluded with a successful raffle and live auction and several items were won at the silent auction. A particular mention must go to Casey Gough, the indigenous artist who provided Vikings Rugby with the painting that was sold at the live auction – the proceeds from the auction of this painting will go towards assisting current and future indigenous players of Vikings Rugby with registration costs and representative assistance. Vikings Rugby would like to thank everyone who assisted with the planning and execution of the Sportsman’s Luncheon – your contribution to our premier event for the year certainly hasn’t gone unnoticed, it was a great day with great people, thank you for all your hard work in making it another successful Luncheon in 2018. In particular, we would like to thank Joe Texiera, the Vikings Group’s Group Events and Entertainment Manager for helping coordinate the entire event. 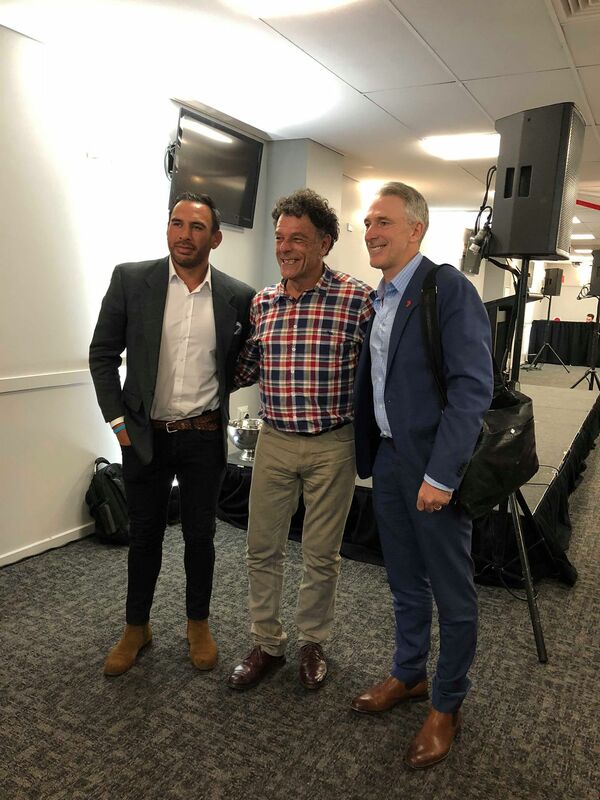 We would also like to thank guest speakers Mike Whitney, Damien Fleming and Huia Edmonds, for giving us their time and sharing their stories. Finally, we would also like to thank everyone who attended our Sportsman’s Luncheon – without your attendance, the event certainly wouldn’t have been as successful as it was! We look forward to everyone rejoining us in 2019 for a bigger and better Sportsman’s Luncheon.